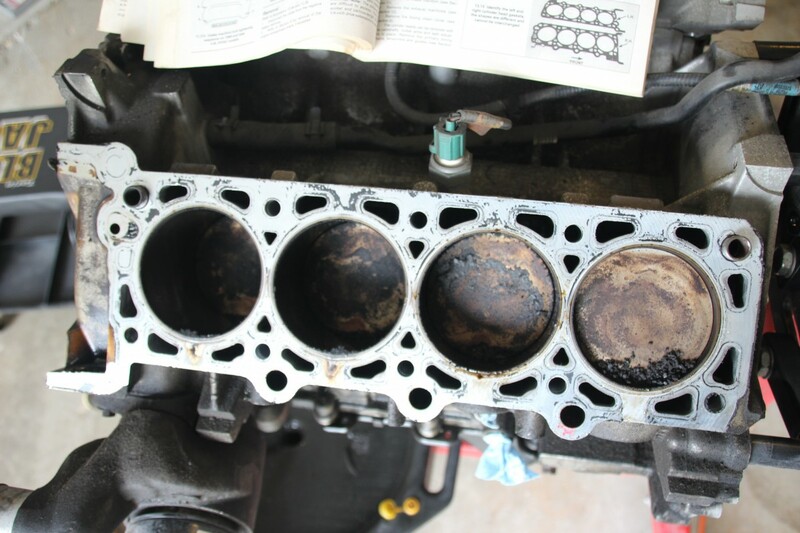 Posted 3 years ago on Saturday, October 24th, 2015 by Connor T.
There is a lot of discussion and disagreement out there regarding Ford 4.6L engines and their coolant flow. 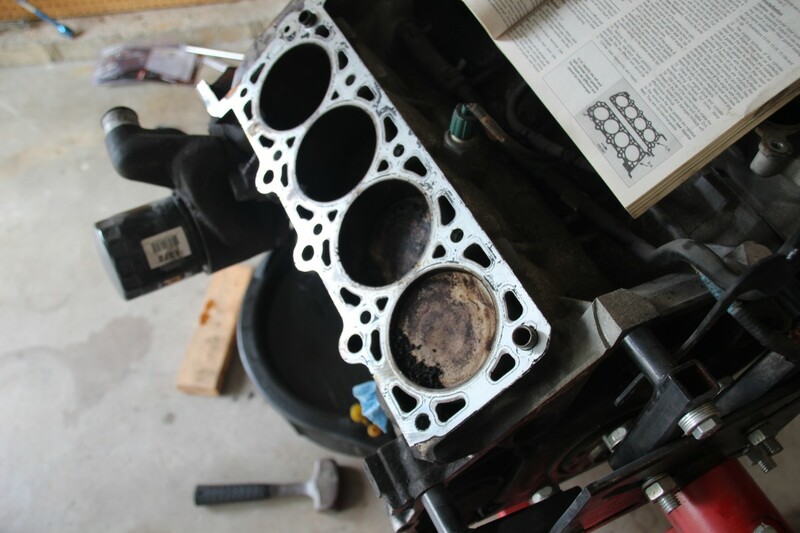 Several companies out there offer a “head cooling mod” (HCM) which takes coolant flow from the driver’s side cylinder head and, rather than dead-ending it like stock, ties it into the heater supply tube with the passenger’s side. 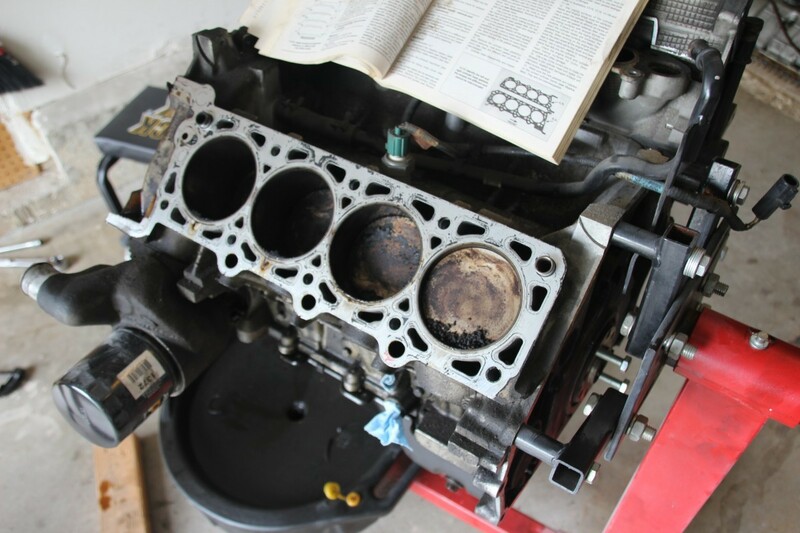 Below are pictures of my brother’s ’97 Cobra engine torn down. He had done a long, WOT pull in both third and fourth gear right before it let go. 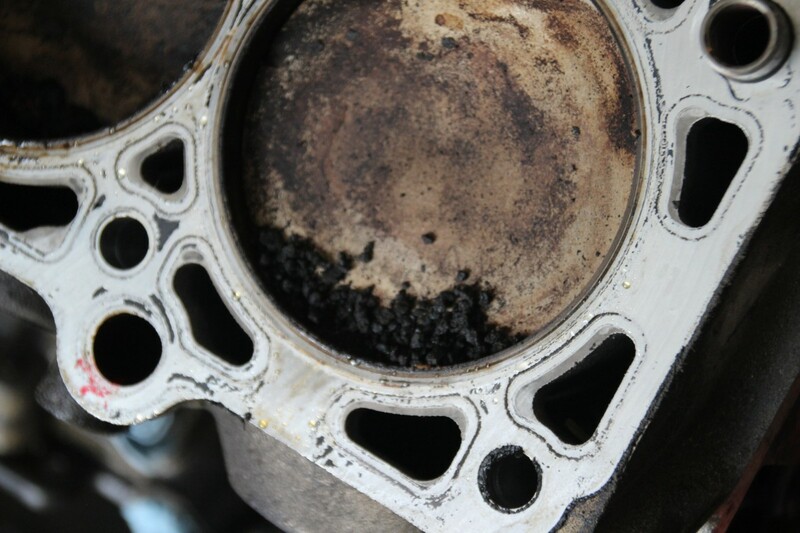 The combination of the built-up gunk from the IMRCs on those early 4v engines, along with the dead-heading of coolant flow in the driver’s side cylinder head are clearly visible, as #7 and especially #8 cylinders are full of carbon. They were also dry, while the other 6 were somewhat damp with oil. If this isn’t proof that there’s a design flaw there, I dont know what is.